Keeping your head, neck, and spine properly aligned promotes a healthy and painless sleep and helps you stay asleep and wake up feeling rested every day. 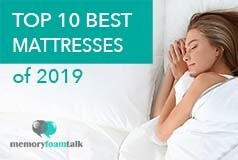 Besides a quality and comfortable mattress, the right pillow can provide you with both comfort and support necessary to keep your spine aligned and help you get the rest you need, but if you don’t have a great pillow to complement your new mattress, you could be missing out on experiencing your best sleep. A pillow that matches your personal needs and sleep preferences and that perfectly fits your sleeping style will be comfortable and support the natural curve of your spine as you sleep. There are many pillows on the market these days designed specifically for back, side or stomach sleepers that it may be hard for you to choose one that will best work for you. However, if you prefer sleeping on your side or back and you need a pillow that will perfectly work for these sleeping positions, then you should look no further from Dr. Loth’s SpineAlign Pillow that we’ll be reviewing today. Read our review and find out what we think about this unique new pillow, what are our experiences sleeping on it and discover whether it can suit your specific needs and sleep preferences. The SpineAlign Pillow was designed by Dr. Jason Loth, a sports chiropractor with more than 17 years of experience in this field. His idea came from his own struggling to find a comfortable pillow that could support his head and neck correctly and keep them in alignment with the rest of his body both when sleeping on his side and back. That’s why he designed this special pillow to help support cervical alignment for back and side sleepers regardless of their body shape and size. This pillow comes rolled and wrapped in a plastic package. It doesn’t come compressed like many other foam pillows we have tested but just rolled and packed in a plastic package and a branded box. There was a slight off-gassing smell coming from this pillow due to its foam construction and the fact that it comes wrapped in the plastic, but the smell wasn’t so noticeable and dissipated within a few hours. As for the size of the SpineAlign pillow, it is currently offered only in Queen size which is 27″ x 17″ x 6″. It is a pillow of a unique shape and design, filled with a shredded proprietary blend of CertiPUR-US filling. It has separate chambers for neck and head support, where the two outer chambers are used for side sleeping while the middle of the pillow is flatter and made for back sleeping. The pillow is adjustable which means that each of its chambers has a zipper which gives you access to the filling and allows you to add or remove the filling to customize the pillow to your specific needs. The cover of the SpineAlign pillow is made of a soft Tencel-blended fabric with strips of mesh built in the sides that allow greater airflow through the pillow and aid in cooling. The cover is quilted and thick; it is extremely soft and comforting and naturally hypoallergenic, but it is not removable as it is built into the construction of the pillow. However, although it can’t be removed and washed, it is very good at repelling dirt and can be easily cleaned with soap and water after you’ve previously removed all of the filling. The SpineAlign Pillow has been designed with two sleep systems in one: side sleepers can use the outer portions of the pillow that are raised and fuller, with more support for the neck, while back sleepers can use the center of the pillow that is much thinner. Both systems promote a healthy sleeping posture and can suit people of all sizes. The mix of shredded foam and fibers allows a great degree of customization, which is something that Andrew and I especially liked about this pillow. It allowed us to take the filling out, add it back or manipulate it to achieve the level of comfort and support we needed. Although it can’t be so easily reshaped like the standard shredded memory foam pillows because of its special contoured shape, the zippers on the back side of the cover give you the access to each chamber of the pillow and allow you to remove, shift, or manipulate the filling to a certain degree and adjust it to your personal preferences and unique curves of your neck and head. A good thing about this pillow is that you will not feel these pieces of foam through the cover as they act as one piece while offering more give and adjustability than one flat piece of foam. The pillow is ideal for side sleeping and back sleeping. When the full amount of foam is within, it is on the firmer side, but it softens as you take the foam out, and it may take a few attempts before you get it just right. When I initially laid my head on this pillow, it wasn’t so comfortable. Although the cover was incredibly soft to the touch and the filling offered quick response and excellent pressure relief, I had to manipulate and take out the filling a little before I finally adjusted its loft and support to work for me. We are primarily side sleepers and we felt it to be extremely comfortable when sleeping in this position, though it worked pretty well for us when sleeping on our backs as well. It provided us with support and contour without causing our heads to sink all the way down through the pillow, and it kept our heads and necks properly aligned with the rest of our bodies. In both positions Andrew and I found our heads and necks to be well supported. The pillow has that classic memory foam contour hug feeling, but it does not cause you to feel trapped in foam. The fill within this pillow is also designed to be breathable and temperature regulating. The Tencel fabric of the cover in combination with the foam’s open cell structure work together to improve breathability and airflow through the pillow, prevent the build up of excessive body heat, sweating and that sticky feeling typical for most foam pillows. The SpineAlign pillow is a bit pricey as it comes in at $129 for a Queen, but this is a reasonable price given the quality materials used in the construction of this pillow and the amazing comfort it provides. Besides this, the company offers a 90 day sleep trial, which makes this pillow a risk-free investment and means that you can return the pillow if you don’t find it to be to your liking and you will get your money back. However, the company asks that you sleep on your SpineAlign Pillow for at least 30 nights before you return the pillow as this will give your body time to adjust to the feel of sleeping in correct posture which is something that most people have never experienced and can take a little time to get used to. Click here to get the best price on the SpineAlign Pillow. 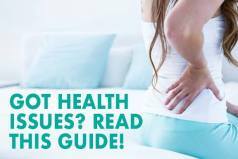 Is the SpineAlign Pillow right for you? Sleeping on your back or side – With its unique contoured shape, this pillow is specifically designed for back and side sleepers, and if you’re a back and side sleeper, it will perfectly work for you. It will provide you with the amount of support necessary to keep your neck and head in a neutral position and in alignment with the rest of your body and with enough comfort to lull you into sleep within minutes. Adjustable pillows – The SpineAlign Pillow is adjustable in that its zippered cover gives you a total access to shredded foam and fiber filling within it, so you can take some of it out or add it back to achieve the loft and comfort needed for your preferred sleeping position. Memory foam feel – This pillow is stuffed with shredded foam and it has all the benefits of classic memory foam without causing you to feel trapped in it. Cool-sleeping pillows – The fill within this pillow is also designed to be breathable and temperature regulating. The Tencel fabric of the cover in combination with the foam’s open cell structure work together to improve breathability and airflow through the pillow, prevent the build up of excessive body heat, sweating and keep you cool and comfortable all night long. Hypoallergenic pillows – The Tencel cover of this pillow is naturally hypoallergenic which makes this pillow resistant to allergens and dust mites while proprietary filling contribute to this. In addition, all the materials used in the construction of this pillow are CertiPUR-US certified which means that they are made without using ozone depleters, lead, mercury, heavy metals, and other dangerous chemicals. Dr. Loth’s SpineAlign Pillow is one of the most comfortable and supportive pillows we have tried out so far. Although it looks a bit funny, it worked perfectly for us when sleeping on our sides and backs in that it provided us with enough support to keep our necks and heads properly aligned with the rest of our bodies, while it had enough softness to cradle our heads and necks and prevent the appearance of pressure points. The responsiveness coming from the special mix of proprietary foams and fibers and the unique construction of this pillow prevented our heads from sinking too deep into it. It is in fact on the firmer side, and what we especially liked about it is that it is an adjustable pillow. A zippered cover of this pillow gives you the access to the filling and allows you to take it out, add it back or manipulate it to achieve the optimal level of comfort and support you need for a sound and restful sleep. Regardless of whether you follow the comfort suggestions you can find on the company’s website or create your own (as we did), you will be fully satisfied with this pillow and you’ll certainly give it a chance.